Works Great! You won't believe you ever went without it! What your Viper should have come with...A simple modification to your RT/10 Viper trunk. 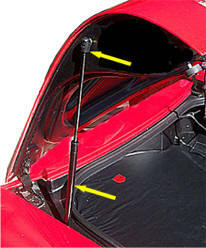 Insert a gas lift arm to make your trunk pop-up and stay up when you open it with your key. 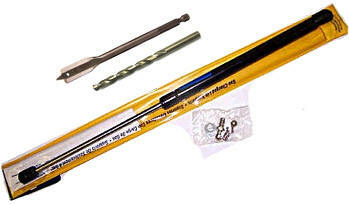 Includes: Gas Lift Arm and the two drill bits needed - that will fit any drill. 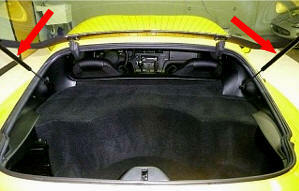 AZ-C95761 Viper GTS Coupe (96-02)Up-Grade Lift Arms for Back Hatch. Stronger than the stock arms! 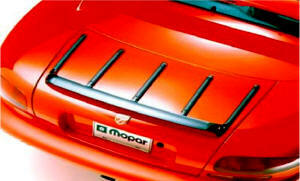 Mounts to the rear trunk deck of any Viper RT10 convertible. Mirror polished finish on pure Stainless Steel. 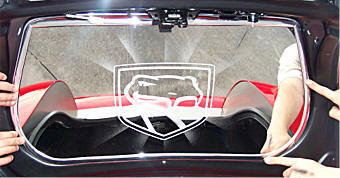 Designed specifically to cover the top of the inside of your Vipers Trunk Lid. Includes Viper head logo. NOTE: This will cover your factory prop bar and make it not functional. 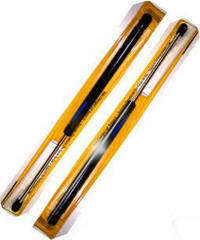 We recommend purchasing AZ-C95230 Lift Arm Kit top of this page. Easy installation self adhesive part. You do not have to remove any parts from your car. Installs in minutes. Will not Rust, Corrode, or Stain. Water proof. Will not come off from vibration, heat, or cold.